Simply put, Green Building makes sense from both an environmental and economic standpoint. While reducing our carbon footprint has a societal benefit, individuals, companies and other entities benefit greatly, due to lower energy consumption and expense. Energy Efficiency: The radiative properties of cool metal roofing reduce the amount of heat transfer into the living or attic space below the roof, which in turn lowers air conditioning costs and energy production at the power plant. Studies have shown that a cool metal roof can save a building owner as much as 20% in their cooling energy costs. Durability: Metal roofing has the greatest ability to perform over a long period of time in a wide range of weather conditions. Its proven longevity virtually eliminates the need to use future raw materials to produce roofing. Recycled Content: Most metal roofs have a high recycled content. This is in stark contrast to conventional roofing materials which have much lower recycled content. The recycled content of metal has proven to be important to state and local municipalities listing metal as “green” in their solid waste districts or departments of natural resources. Recyclability: Metal roofing is 100% recyclable at the end of its roofing life. This helps to eliminate the waste stream to landfills, where most conventional roofing products end up. Each year about 20 billion pounds of old composition roofing shingles are dumped into US landfills. Weight and Strength: Depending on the type of metal roof product and the gauge, metal roofing can be 1/8 the weight of conventional roofing shingles. As a result, metal roofing puts fewer loads on the structure and foundation design and extends the life of a building. The inherent strength of metal, combined with the light weight, provides building owners with the option of installing metal roofing directly over old roofing materials. Safety: Metal roofing and the exterior paint systems used with them are safe materials that pose no health risk. The surfaces are inert, with no gas emissions or allergens. The material is noncombustible, and tested for wind resistance, fire resistance, and hail resistance. 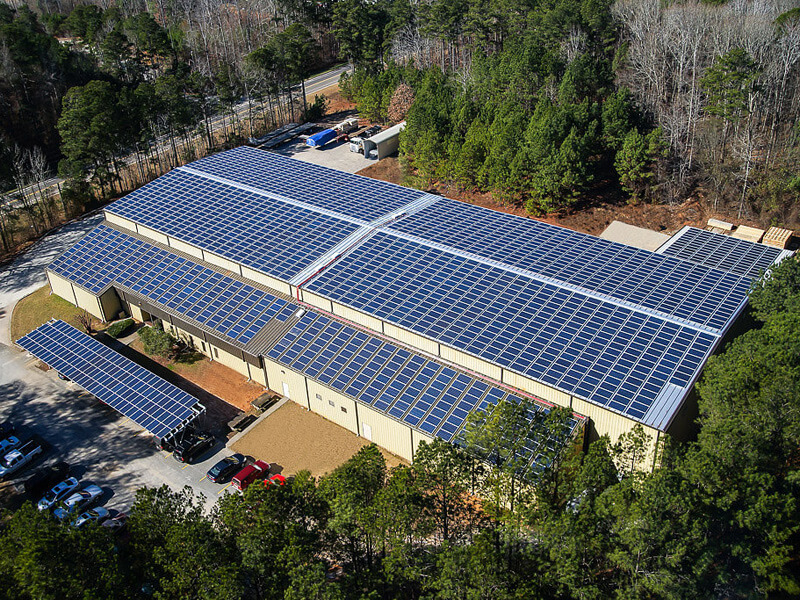 To a building owner, energy represents the single largest controllable operating expense. (source: Building Owners and Managers Association) Most of this energy is used for heating, air conditioning, lighting, heating water, computers and entertainment. A building’s roof can be the least energy efficient component of a building envelope. Combining these facts with the reality of increasing energy prices, it is no wonder that conservation measures and improved energy efficiency are becoming popular and important aspects of Green Building Design. Energy codes and standards are another driving force behind the growth of Green Building. Codes are becoming more stringent and provisions for cool roofing are now commonplace. Even individual state and local governments are beginning to require that public building construction exceeds certain sustainability standards. 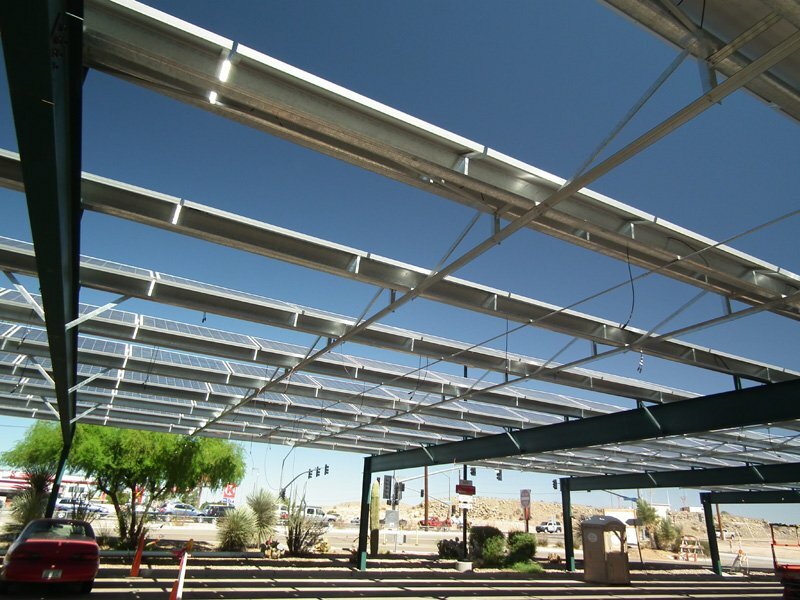 Cool metal roofs reflect the sun’s energy away from the roof, and subsequently the building interior, resulting in a significant reduction in energy use. Utility companies have become interested in cool metal roofing because it can help to reduce the peak demand in electricity during the afternoon hours in summer months, which prevents power disruptions. From an environmental point of view, cool metal roofing can also help to mitigate a phenomenon known as the "heat island effect", where urban areas experience higher air temperatures due to the abundance of non-reflective construction products and less vegetation. 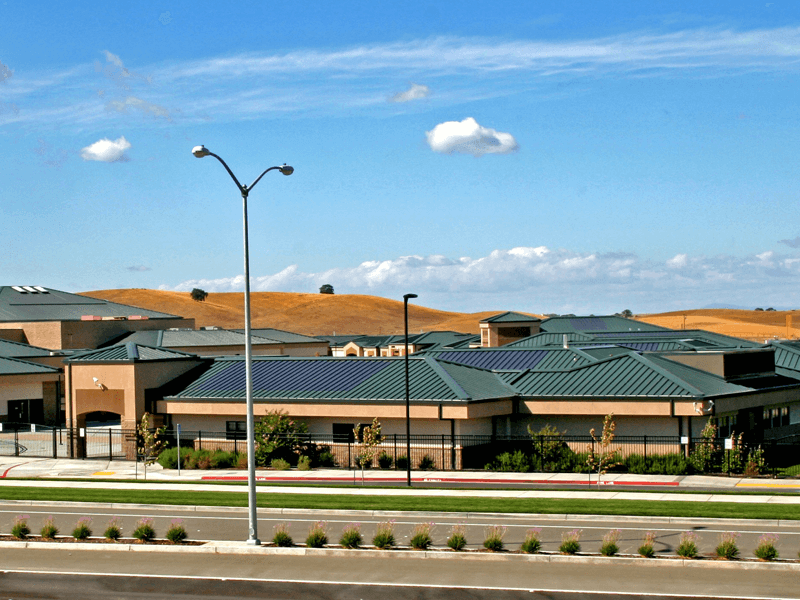 Metal roofing is really the logical choice for solar integration. Metal roofs offer a decades-long service life, so there is little risk the solar panels will outlive the service life of the metal roofing. 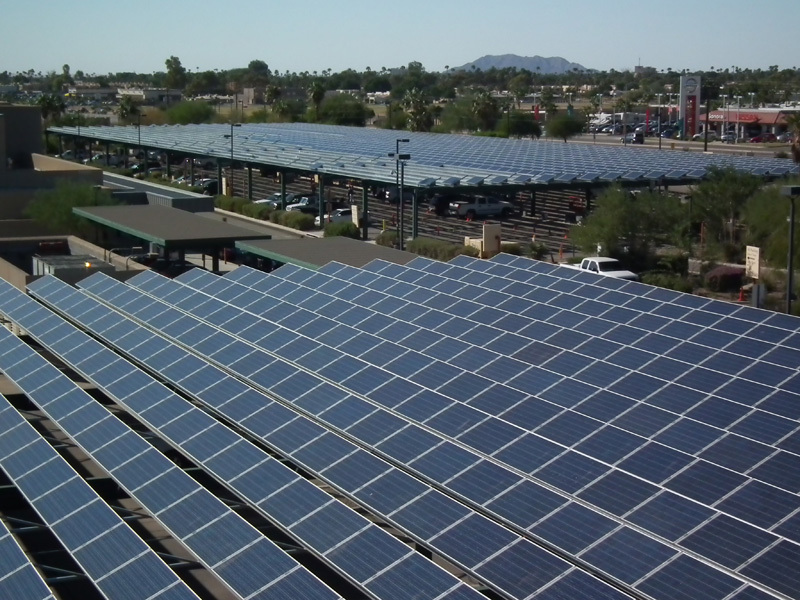 Additionally, both thin-film and crystalline solar modules can be attached directly to metal roofing without any perforations penetrating the roof. Roof penetrations can be a source for future leaks, so avoiding them is a sound building practice. 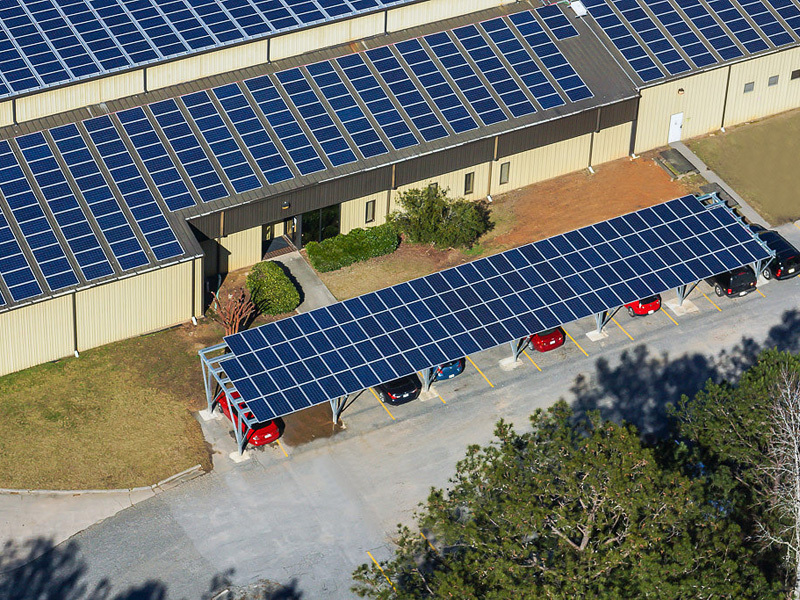 Thin-film solar panels can be applied directly to select McElroy Metal standing seam products, such as Medallion-Lok, Maxima and 238T. 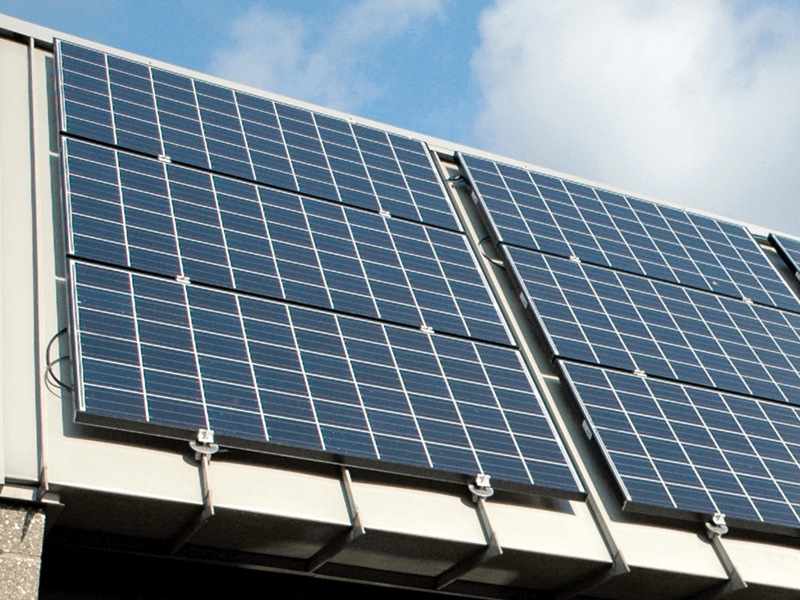 Because the solar panels are attached directly to the roofing material, this technology is referred to as Building Integrated Photovoltaic (BIPV). Some of the advantages of thin-film Solar panels include lightweight, ease of installation and aesthetics. 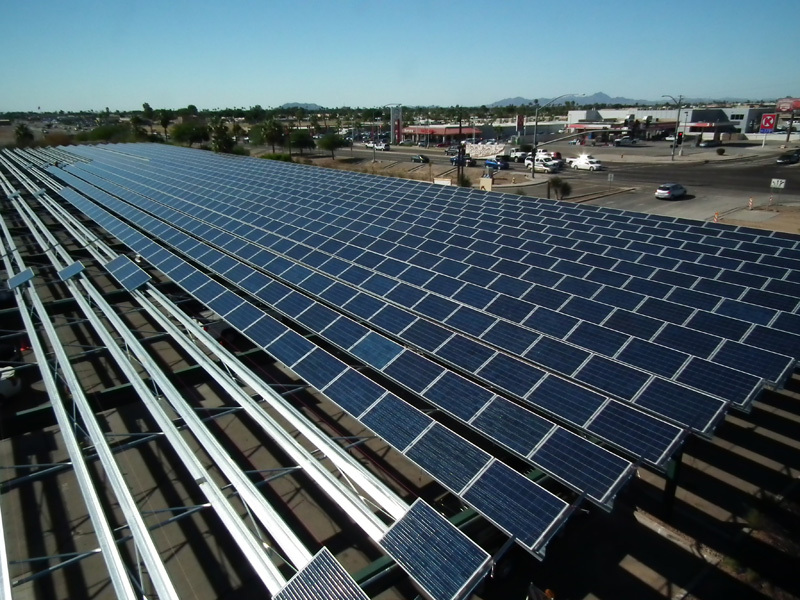 Thin-film solar panels can be jobsite or warehouse applied by solar integrators or roofing contractors that perform solar work. Crystalline panels are manufactured with highly efficient crystalline silicon. Panels are attached to McElroy Metal standing seam products utilizing S-5! Clamps. The main advantage of crystalline solar panels is greater efficiency and power generation.